Jeff Lavoie, Owner and CEO of All-Ways Accessible, began working in the construction industry when he was in high school. He worked with a local contractor framing houses. He also worked with his Dad, who owned a business doing concrete finishing. When Jeff finished high school, he chose to enter the U.S. Army, where his career path took a rather drastic turn. The Army, in its infinite wisdom, decided to send Jeff to nursing school, where he received training as a licensed practical nurse (LPN). He served as an Army medic and obtained additional medical citations. Upon being honorably discharged from the military, Jeff returned home to New Hampshire (NH) and began working as a nurse. First he worked in a large local hospital. Then he moved to a durable medical equipment company that specialized in custom wheelchairs and rehabilitation equipment. He quickly discovered that he could provide people with the means to get around via the use of a wheelchair or other mobility devices, but getting in and out of their homes, or even just getting to the 2nd floor, proved a much greater challenge. So Jeff started working with different lift manufacturers, attending training schools and educating himself on the different code and safety regulations for the various products. He began installing stairlifts and ramps for his wheelchair clients, and then later on, after obtaining an elevator mechanic’s license from the State of New Hampshire, he began working with vertical wheelchair lifts, for both homes and businesses. As Jeff started to do more of these types of lifts, he saw an opportunity. At the time, the Americans with Disabilities Act, passed in 1990, and the concept of accessibility for people with disabilities was just beginning to have an impact on society. Jeff decided to branch out and start his own company which would focus on providing accessibility solutions for people with disabilities. In 1996 All-Ways Accessible, Inc. was born. After working from home for about a year, All-Ways Accessible began to grow. Jeff became very busy selling and installing product. He decided that he needed some help. It was that desicion that allowed that All-Ways Accessible spead it's wings and start to be recognized as the leader in Northern New England in Lifts and Elevators. First it was some office help then it was technicians. In December of 1997, they moved All-Ways Accessible out of Jeffs house and into a small office complex located at 128 Hall Street in Concord, New Hampshire (NH). The company had 2 employees, a hand full of different products and served customers mainly in New Hampshire. One of those employees, Mike Racki, is still employed at All-Ways as Project manager. Today, All-Ways Accessible occupies just over 6000 square feet of space, employs 17 people, specializes in stairlifts, wheelchair lifts, residential home elevators, limited use limited access elevators (LU/LA), dumbwaiters, material lifts, patient lifts, modular ramps, and works with over 20 different manufacturing partners. All-Ways Accessible serves customers throughout New Hampshire (NH), Maine (ME) and Vermont (VT.
All-Ways Accessible has recently undergone a major renovation to its showroom. It now boasts two working residential elevators, an IGD and a hydraulic model. There are also two different brands of stairlifts, along with modular ramping products, and patient lift demo equipment. The mission of All-Ways Accessible is to provide access solutions, via Elevators & Lifts, for residential and commercial customers. We value teamwork, from the initial consult through the completed installation and then service after the sale; we are professionals. Therefore, we only partner with manufacturers who make safe, proven, reliable products. We stand behind everything we sell with our customer satisfaction motto: "We All-Ways make it right." Certified Aging in Place Specialist C.A.P.S. 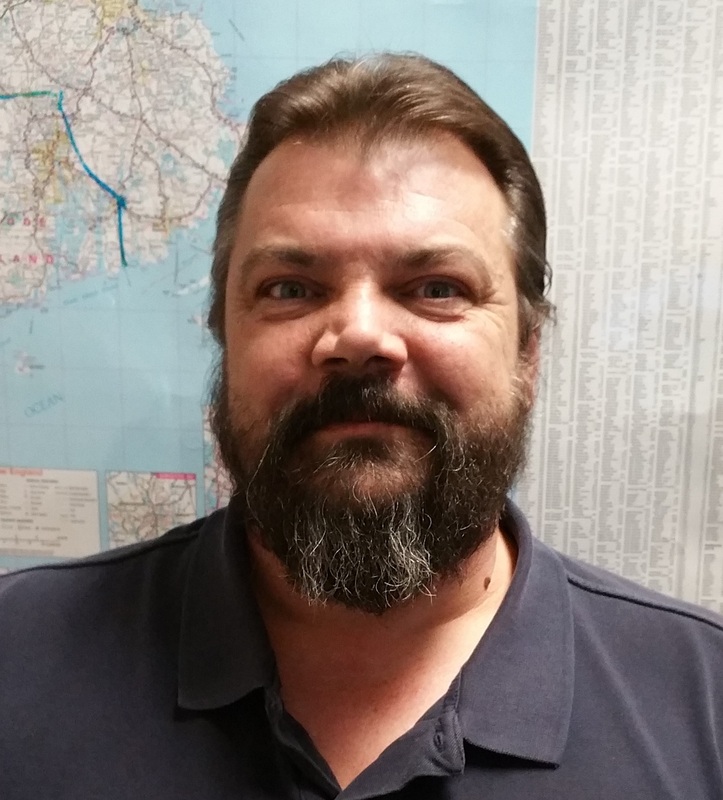 Jeff oversees the sales department and the installation & service department. He is the All-Ways Accessible code guru. He is a previous board member at the Associated Builders & Contractors, NH/VT Chapter and New Hampshire Home Builders & Remodelers Association. Not to mention, he teaches the Certified Aging in Place Specialist C.A.P.S. classes. As the most senior member of our technical staff, Mike is a very versatile member of the installation / service team. His technical expertise, which comes from years of installing literally hundreds of different types of lifts, lends to the quality assurance All-Ways Accessible strives for on each installation. Mike is a licensed elevator mechanic in New Hampshire, Maine and Vermont. Jay gives meaning to the word "service" in the phrase "Service Department". He repairs and maintains all the different lift products that All-Ways Accessible installs. His technical expertise, which again, comes from years of working on a variety of different equipment, enables him to fix "just about anything"! When asked what he enjoys most about his job at All-Ways Accessible, "my job presents me with a unique combination of challenges, variety and independence that I enjoy." Gerry has been involved in the installation of all the products All-Ways Accessible sells. Gerry will do what is necessary to get the job done right. He does many of the LULA installs and will service any equipment we sell. Jackie came to All-Ways Accessible from the High Tech, Manufacturing business where she held various roles in Finance. She continues to be active with the Institute of Management Accountants where she has been a past board member helping to maintain education in this field. It is a pleasure working on the All-Ways Accessible team in support of the company mission. We all help serve each of our new and exisiting customers with the same strong spirited attitude. It is fun to work together when you know everyone shares that common goal. Ciara came to All-Ways Accessible with a communications and healthcare background. She loves working with clients to find solutions to accessibility issues. She covers VT and Western NH. Ciara goes the extra mile to make sure her customers recieve the value we are famous for. Heather has diverse background in design and sales. She has worked as a kitchen designer, Home interior decorating consultant and has some education in architectural studies. Heather is committed to do what is right for her clients and making sure all the details are in place to make a seamless installation possible. Heather is the ultimate professional. Heather covers Eastern NH and Maine. Jayne came to the All-Ways team with a diversified background in the high-tech arena. She schedules the mechanics, orders parts, and even runs the fork lift truck! When asked what she likes best about working in this environment, she says she likes to help people. She understands the urgency of their equipment working for them and does everything she can to get it fixed as soon as possible. Nick came to All-Ways Accessible with training in robotics and other positions with electrical mechanical backgrounds. He is the companies stairlift installation expert. He also installs most of the modular ramps and Surehands. when needed Nick also assists with elevators and wheelchair lifts. Nick is a National Guard veteran. Nick has attended Symmetry factory training and Stannah Factory training. Nick is valued member of the team. View a video of company President Jeff Lavoie discussing some of what we do. Every elevator and lift that All-Ways Accessible installs has numerous safety devices engineered into every aspect of the design. Those safety devices require regular testing, inspection and maintenance to ensure that they work when you need them. Our trained, experienced service mechanics are here to keep your elevator or lift running safely and reliably. At All-Ways Accessible, your safety is our first priority and we are confident in our ability to care for your equipment the right way, every time. Why should I have regular maintenance performed on my elevator or lift? Regular maintenance has been shown to reduce the cost and frequency of repairs and to extend the life and reliability of your elevator or lift. Safety - there are several moving parts in lifts or elevators that can become loose, worn, frayed, or even damaged from daily use. Something as simple as lubricating or tightening of parts can save the life of the equipment or the person using it. The American Society of Mechanical Engineers (ASME) felt it was so important to have elevators and lifts tested and inspected routinely, that they made it a requirement in their “National Elevator and Lift Safety Codes”. If your state has adopted these national codes it may be more than just a good idea to have your equipment maintained regularly, it may be the law. A Bear With A Purpose . . .
Rich did as he promised. He talked to Jeff and Liz about Waldo, and they loved the idea of hiring a sales savvy bear who could help them spread the word about “visitability.” Waldo joined the All-Ways Accessible team as the community liaison and was recently promoted to Vice President of Public Relations. He’s now responsible for running programs like the annual Food Drive to help support the NH Food Bank, the annual toy drive for the US Marine’s Toys for Tots campaign, and even a local coat drive! Waldo works very hard planning and running All-Ways Accessible community outreach programs, and he’s always looking for new and different ways to make a difference. In addition to his public relations responsibilities, Waldo does his utmost to promote better, more accessible living for everyone. He helps out at home shows, where he especially loves meeting kids. He goes on site visits and turnover visits with elevator clients so he can demonstrate all the features of a home elevator. Waldo really enjoys going on patient lift evaluations and installations. He loves showing people how to use them and also to help put them at ease when they use them for the first time. When Waldo is not visiting job sites or working a home show, he’s here in our showroom helping out with home elevator and stair lift demonstrations. If you would like more information on All-Ways Accessible community outreach programs, Email Waldo. Check out more of our reviews by clicking on the link above. Thank you, thank you, thank you. We both absolutely love the lift. For the first time in over 2 years, I have arrived at the top of those darned stairs, breathing normally, not gasping like a fish out of water and without my legs feeling like they are going to give out any second. The lift is just plain wonderful. Whom ever invented it was a genius. Bill went down after the laundry this morning, rode the lift down and came back up with the laundry basket setting on his lap and he wasn’t all out breath like he usually is. Just a big grin. If you have a potential customer who might have questions about just how wonderful your lift is, we would be more than glad to talk to them and tell how we both feel about it. We don’t have even a small complaint, everything was perfect. We just feel so lucky that we found your company and you. PS If you are ever in our neighborhood, you know you have a standing, open invitation to stop by for coffee or whatever. We would love to see you again. If you would like to comment on service, please see below for some popular review sites. want to hear it. Please take a moment to share your experiences with us. If you had a great experience let the world know by clicking on a link below!! Thank You, your opinion really matters to us!!!!! !